Last week the press in Dominica, specifically the Sun newspaper, was hindered in the performance of its duties in the Parliament. Without notification or warning, the police was instructed to get the newspaper's editor out of the gallery during the opening of the House of Assembly because he was taking photographs at an event to which he was invited as a member of the press. I write requesting a reason for the unceremonious exclusion of the Editor, Mr. Charles James of the Sun Newspaper from observing, reporting and photographing the proceedings of the Opening of Parliament on July 23rd, 2014. As Editor and main photographer of the Sun Newspaper, I was about to begin taking photographs of His Excellency President Charles Savarin while he addressed parliamentarians. At that point, Police Inspector Ulando Cuffy came to me and told me that I was not allowed to take photographs in the House. I asked him why that was the case and he repeated his statement. I then asked Officer Cuffy who told him to order me to stop taking photographs and he repeated his original order. I packed my equipment and sat near a cameraman of the Government Information Service who was video-recording the proceedings of Parliament for broadcast. I then saw Mr Cuffy talking to the Honourable Speaker of the House of Assembly, Alix Boyd-Knights. Shortly afterwards, Mr Cuffy came to me and told me I had to leave the chair on which I was seated. I asked whether I could leave via a door a few feet away from where I was sitting. He responded by ordering me to walk through the gallery in full view of all the attendees of the meeting of Parliament. Madame, please note that I have been a reporter for more than two decades and I have always taken photographs at the Opening of the House of Assembly. Furthermore, I am not aware, and my colleagues in the media inform me that they too are unaware, that the practice of taking photographs and reporting on the opening of parliament in particular, and the proceedings of parliament in general has been restricted to certain government affiliated media houses. If this is in fact the case, and I shudder to believe that it would be, it would be an affront to good governance, transparency and democracy. Additionally, your invitation to the Sun, dated 8th July 2014 (Ref 171-01), clearly states that "I am to inform you that arrangements are being made as usual to accommodate a reporter at the opening of Parliament" on Wednesday, 23rd July, 2014. Further, after informing the Sun of the dress code you stated in your invitation that "the dress code also applies to camera crew", an indication that we were allowed , as usual, to take photographs. I can also assure you that my conduct was not in any manner disorderly or disruptive to the proceedings. 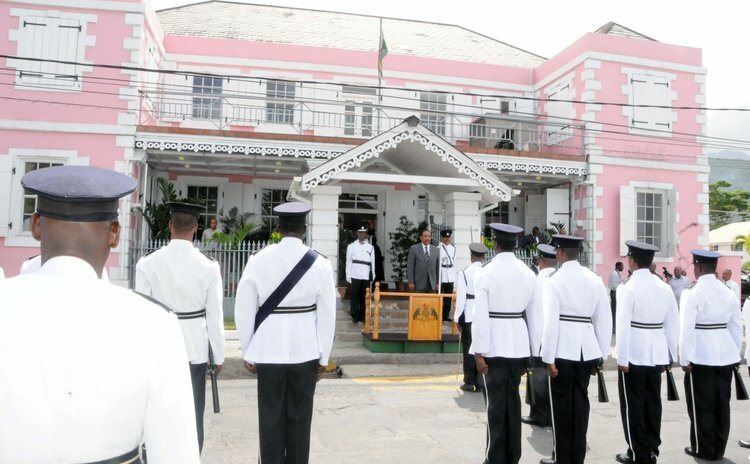 I am to inform you that arrangements are being made as usual to accommodate a Reporter at the Opening of Parliament (First Meeting of the Fifth Session of the Eighth Parliament under the 1978 Constitution), which shall be held at the House of Assembly, Victoria Street, Roseau at 10:00 a.m. on Wednesday, 23rd July, 2014. At this Meeting the President's Address is expected to be delivered and the 2014/2015 Budget presented. Please be advised that in an effort to accommodate all of our invited guests, only one person from your media house can be given seating accommodation in the Chambers. You are also reminded that the dress code for the occasion is business suits for females and long sleeve shirt and tie (with jackets preferred) for males. This dress code also applies to camera crew. Your cooperation is solicited to ensure a smooth Opening of Parliament.